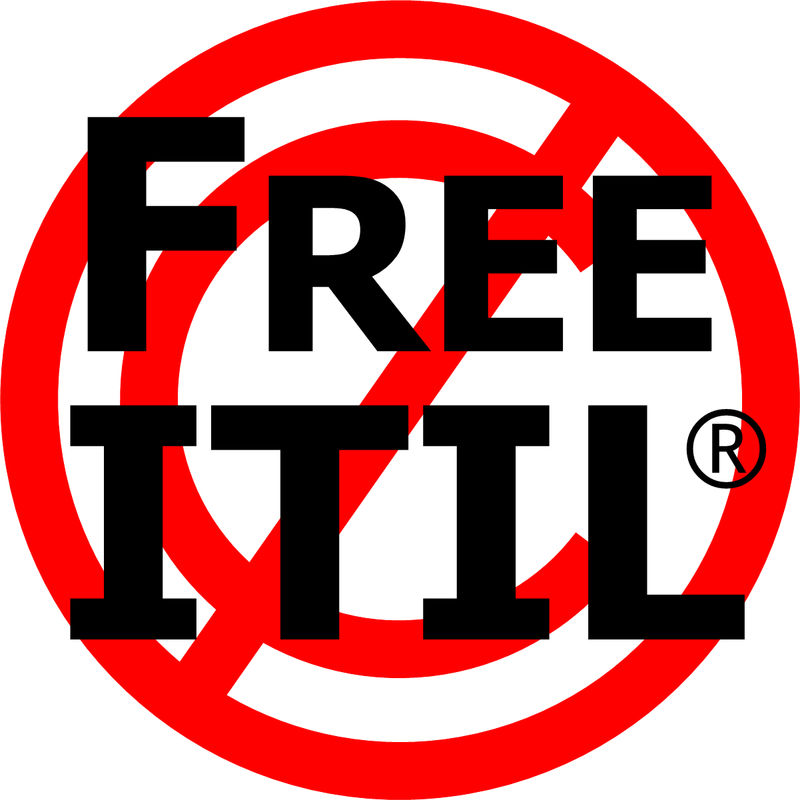 To date 139 people have digitally signed the petition on this website calling for a Free ITIL. That is 139 emails to The Rt Hon Francis Maude MP, Minister for the Cabinet Office (and Paymaster General). There are millions of ITIL practitioners in the world so I had hoped for more signatures. I am always surprised by the lack of interest amongst the ITIL masses in the governance of the body of knowledge that forms a foundation of their careers. Perhaps it isn't apathy. Perhaps Free ITIL is a crappy idea. I thought the arguments were compelling but maybe not. Or perhaps the world's ITIL practitioners are less naive than me and knew that pounding on the walls of Castle ITIL is pointless. To date that view looks correct. Transparency is a critical forward agenda for the UK government. And we will welcome all suggestions from the public and from overseas about how best to take this forward. In relation to ITIL, our policy is that the ITIL glossary of terms will continue to be made available through a licensing regime based on the Open Government Licence (OGL). But there are no plans to release further ITIL material on similar terms. All ITIL data is, however, already published in a way that makes it openly available to its community in a number of accessible formats. And ITIL data is widely accessed and used by ICT practitioners in many countries. In other words it said nothing. In reply I said "Having read your response I still do not understand the rationale under which ITIL continues to defy the principles of the UKGLF" and I repeated many of the arguments presented on this site. The Cabinet Office would seem to need a consistent position on this. For example I draw your attention to the Cabinet Office's Procurement Policy Note "PPN 3_11 Open Standards" which states "When purchasing software, ICT infrastructure, ICT security and other ICT goods and services, Cabinet Office recommends that Government departments should wherever possible deploy open standards in their procurement specifications." Since ITIL is the primary standard for ICT services, and that was its purpose when created, there would seem to be an inconsistency here. I believe any suggestion that ITIL is an open standard - by 21st Century criteria - would be met with derision, especially in the light of recent vigorous enforcement of copyright and trademark. Congratulations on your new appointment at the Cabinet Office as Government CIO. The ITIL standard costs £295 for the set and is NOT freely available. Re-users are charged up to 20% royalty: even PhD students have received demands for licensing and payments regarding this standard. Licensing can take up to 6 months. The UK Government programme is currently advocating the use of ITIL as a standard for the Cloud programme: however as it is not open for free re-use how does this reflect the Government’s policy here? Please can you confirm whether or not Government’s own material that is a central standard used in roll out of the cloud programme will or will not be made Open Content under the UKGLF? The Cabinet Office owns, and is responsible for maintaining, a series of best practice guidance which it publishes as the “Best Management Practice Portfolio”, from which it generates income through two service concession contracts, awarded as the result of an open procurement exercise. The current service concession contracts are due to run to 31st December 2013. Note that the contracts were renewed in late 2010, for two years where the contracts reportedly allowed for up to five. The products are produced on a commercial basis and in competition with other products in the market; and are not a cost-free by-product of the work of the day to day work of the Cabinet Office. Change to the basis of current commercial arrangements prior to December 2013 would carry costs to the taxpayer, in addition to the loss of revenue to the UK government.... Any new arrangements will reflect the government policy at that time, not just developments on Transparency and on Open Standards, but also on other areas including, for example, mutualisation. I don't know what "mutualisation" is, but it sounds like fun. (Sounds of spluttering) This must be a new meaning of the word "open" that I was previously unaware of. I suspect it is a meaning that dates from before I learnt English. The Government’s ambition is to make the UK the most transparent and accountable government in the world, and to create the environment for state-owned datasets to be exploited for commercial and social gain... At present, however, the focus is on ‘data’, the lowest level of abstraction from which ‘information’ or ‘knowledge’ is then derived. The Best Management Practices portfolio would be better characterised according to this schema as ‘knowledge’; and our approach to the products reflects that view of their classification. In other words never mind the spirit of the "ambition", we'll duck out from the letter. The UK Government specifies ICT standards that are either related to technical infrastructure or to data. The purpose of these standards is to ensure that ICT components and data can be interconnected, shared and reused to [blah blah blah]. We have a strong preference for the specification and implementation of open standards, where feasible, as they enable these benefits to be realised. Our use of the term open standard is therefore related to technology and data rather than to best practices, which in themselves are not standards. Another hair split neatly down the middle. Our current informal consultation on open standards (www.cabinetoffice.gov.uk/content/uk-government-open-standards-survey) includes mention of ISO/IEC 2000[sic] ... Whilst ISO standards may not meet our definition of ‘open standards’, in the absence of a standard that fits with our definition of open, we look more broadly for a suitable standard. It appears to have escaped their attention that a hairy 600lb potential-standard is sitting in their lap licking their face. You can further dissect the logic of these replies if you want. I won't. This isn't rational. ITIL is owned by the British Crown. OGC are tasked with making a profit from it. 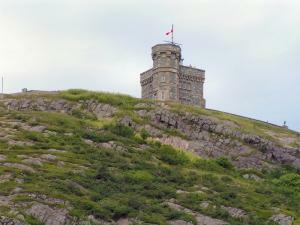 APMG and TSO are contracted to run it as a commercial product. itSMF won't rock the boat because they are an industry body not the practitioners' representative. These are the facts. It doesn't matter what you think because ITIL isn't open and won't be open. 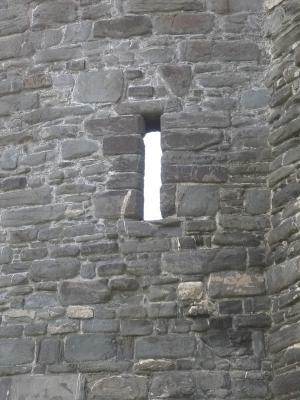 The gates of Castle ITIL stay firmly bolted. As far as the British Government are concerned you can all go **** yourselves. Since the UKGLF http://www.nationalarchives.gov.uk/documents/uk-government-licensing-fra... DIRECTS central government departments, and since the Office of Government Commerce is now part of the Cabinet Office, does this mean that the IT Infrastructure Library (ITIL, http://www.ogc.gov.uk/guidance_itil.asp) is now available under the terms of the UKGLF, instead of being Crown Copyright Value-Added? Thank you for your enquiry to the OGC Service Desk. ITIL and all the SWIRL products e.g. PRINCE2 MSP etc are all still classed all “value added “ and therefore subject to Crown Copyright licence requirements. I hope that the information provided is of use to you. Please do not hesitate to contact the Service Desk again if you have any further enquiries. Submitted by guerino1 on Thu, 2011-03-31 12:12. You stated: "I am always surprised by the lack of interest amongst the ITIL masses in the governance of the body of knowledge that forms a foundation of their career.". It's quite possible that there aren't "massess" that use ITIL to form a foundation for their career. In this case, I'd bet that most people just view ITIL as another certification that helps their career and not as something that forms the foundation for their career's success. For example, I know many people who work in Change Management, full time, who have no ITIL certification. However, they're great at what they do. This doesn't mean that knowing ITIL Change Management doesn't help. It just means that many can still be successful without it. Most people don't have enough insight into what all of this means until they dive into it. I've found, from my own experiences, that many people like to "wade" into large bodies of knowledge, taking little bits of interest as starting points and diving deeper until they get what they want out of them. Exclusivity might be an issue. I remember one gentleman that was certified at all three levels of ITIL and no one else in his organization was certified, at all. He stood out as being the walking reference to ITIL and he loved being in that role. If the material was open, he may have felt that there was less of a need for him and that his ITIL qualifications weren't as valuable to the organization. Maybe, there's a perception that the information available through ITIL isn't as valuable as smaller groups might profess it to be. Remember, things like Call Centers, Incident Management, Configuration Management, etc. were around long before ITIL and many companies implement such solutions, successfully, without any insight into ITIL, at all. I know many people that salivate at the thought of getting to all of the information in Gartner and Forrester. I rarely find anyone who views ITIL as the keys to strategic success. Maybe it's the view that a great deal of ITIL is still lacking in its content and, therefore, its value. I give the classic example of Configuration Management. Many people believe that ITIL was and continues to be very far off the mark on this. Maybe, most people in IT still don't understand the value of the content. The industry, after all, is still in its infancy, if you really think about it. Maybe, many ITILers are frustrated with the lack of willingness from their organizations to change, deeming any attempt to open up ITIL content to be futile, since what they've worked so hard to learn and profess is being ignored. I hope this adds value.